It’s safe to say that you’ve heard of Big Agnes if you are a camper or any other outdoor enthusiast. This brand carries pretty much everything you would need for a camping trip, from sleeping bags to jackets to camping chairs. It’s their selection of tents that really make Big Agnes famous, however. praised models was the original Copper Spur. Despite how loved it was, Big Agnes took it a step further and upgraded it to the Copper Spur UL 2. 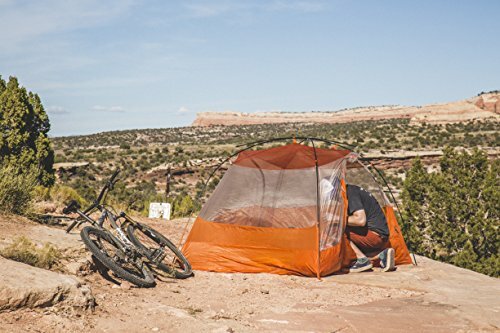 This two person tent is even better than the original and is now in the ultralight (UL) category. There are a lot of good ultralight tents on the market but a few great ones. Big Agnes managed to combine all the things a great ultralight tent should be into this model. Despite being such a lightweight tent, coming in at under 3lbs packed weight, Big Agnes was still able to really put some awesome features into the CS UL 2. 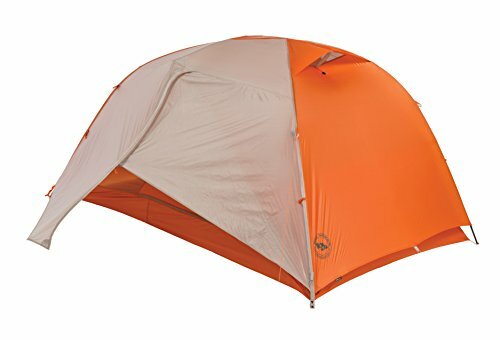 Essentially the Copper Spur UL 2 has pretty much everything you could want in an ultralight tent without the extra features that really only add unnecessary weight. Going by features alone make it tempting to go with this model but it’s the way they work together that give this tent its main advantages over the competition. 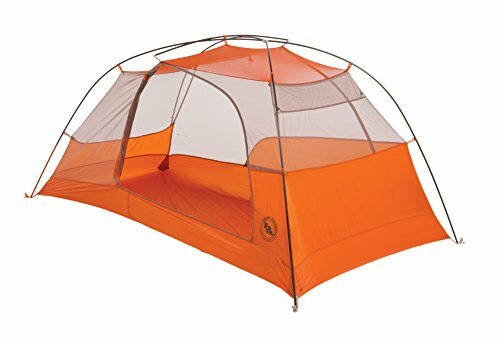 Compared to many other ultralight 2 person tents, the Copper Spur UL 2 is definitely luxurious. It offers plenty of space for two people and having two mini vestibules is perfect for each person to store their dirty boots. The double doors are also really useful as well since there won’t be any awkwardness of having to climb over your partner to get out of the tent. The 42” of headroom is also great for sitting out a storm in comfort. Like so many of the Big Agnes tents, the Copper Spur UL 2 is fairly quick to set up. The use of color-coded poles and clips make it easy to figure out what goes where if you forget the instructions. It also simplifies setup if there is low light. The included reflective guy lines have a quick adjust feature which makes it even more user-friendly. Despite being so lightweight the stakes and poles included with this tent are very durable and not prone to bending if you care for them properly. Being a 3 season tent, the Copper Spur UL 2 works well in all but the worst weather or snow- as long as your sleeping bag matches the temps. The overall shape of the tent and the way it is pitched makes it quite resistant to wind. In cooler weather, the overhead ventilation does well at preventing condensation. It sheds rain easily and will keep you dry even in heavy rains. Both the tent floor and tent fly have essentially two layers of water resistance. Each has a base material of ultralight ripstop Nylon treated with silicone and an additional 1,200mm coating of waterproof polyurethane on top. Although the floor of this tent isn’t the super waterproof tub-style, it does have polyurethane taped seams. All of this combined means you’re pretty much going to stay dry and cozy inside regardless of Mother Nature is doing outside. There are a lot of little things that add up to make this tent so great. While it may seem like a typical ultralight tent at first, numerous positive reviews and high ratings really show that the Copper Spur UL 2 is something special. It is also priced reasonably for a tent of this type so it will work well for the avid camper/backpacker who is just getting into ultralight packing. A common disadvantage of most lightweight tents, and really the only complaint of this one, is how delicate the materials are. In order to shave off overall tent weight, Big Agnes had to find a compromise. Although the Copper Spur UL 2 is durable compared to other lightweight tents on the market, keep in mind that it’s just not going to be as strong as heavier weight models. You will need to care for the tent much more carefully and take action to prevent it from being snagged while traversing the backcountry. This means having to store it away inside your backpack. Aside from physical abuse, the tent is durable in the sense that it doesn’t just fall apart when stored away during the off-season. Another thing to keep in mind is that the tent isn’t quite as versatile in terms of set-up options as it seems to be. There are 3 different ways to pack this tent but with it being only a 2 person capacity and having to buy the expensive additional footprint, it’s better to just use this tent whole as intended. Overall the Copper Spur UL 2 is a great choice for a couple or a camper who often goes out with a friend or family member. It is light enough that it could also be used as a solo tent if you are someone that likes to have plenty of room. Although the tent is very lightweight and extremely easy to set up, it may not be best for your kids or a tent for teens who may be too rough with it. Despite some of its shortcomings the Copper Spur UL 2 is still a solid tent that comes very highly recommended by many outdoorsmen. 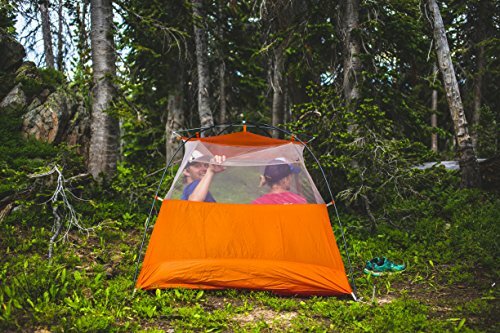 If you are struggling to find a tent that is truly in the ultralight category that is roomy enough for a pair to share, this model would be a great choice to consider. Best Place to Buy? I’ve consistently found the best prices here.